Sixth Graders tour Cameron University! 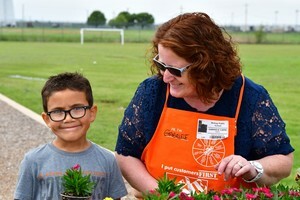 Kinder - Gardner's enjoy planting flowers with Home Depot! 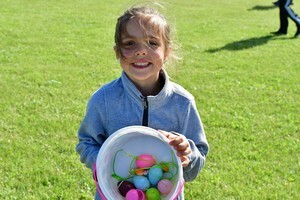 A Big Thank You to Prince Hall No.9 for sponsoring Bishop School's Egg Hunt 2019. We appreciate you all very much! ~Bishop School~ There is no school on Friday, April 19, 2019 and Monday, April 22, 2019. Have a Happy Easter! 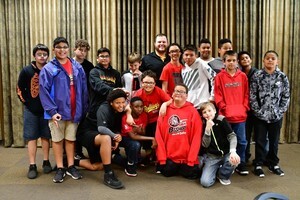 ~Bishop School~ Snack Cart - Friday, March 29, 2019! Yay! ~Bishop School~ 2019 SIXTH GRADE SHIRTS ARE IN! Cost for 6th Grade Students: $5 Cost for Other Students and Children: $10 Cost for Adults: $10 For other students, children and adult shirts, please call the office to place an order. (580) 353-4870, Ext. 401. Thank you. ~Bishop School~ PIZZA SOLD OUT! Even the pizza maker sold out of pizza. We will have a PIZZA REDO DAY on Tuesday, March 5, 2019. Thank you.